The Roadhouse restaurant booths. The ONLY place to sit when you're a half a day's ride between here and there. Wood booths add warmth to any restaurant's decor. Wood booths provide customer comfort and privacy. 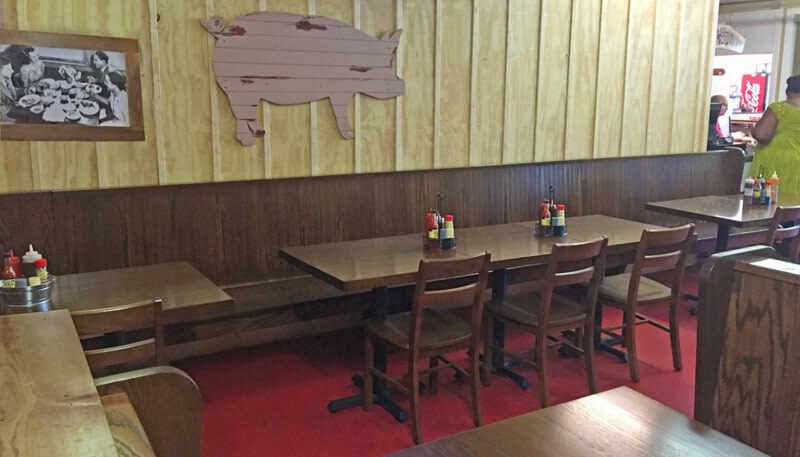 Restaurants appreciate the easy maintenance and increased seating capacity of wood booths over tables and chairs. Restaurant customers appreciate the "homemade" wood looks and the change in posture from sitting in the car all day. Road House Restaurant booth seating saves space. 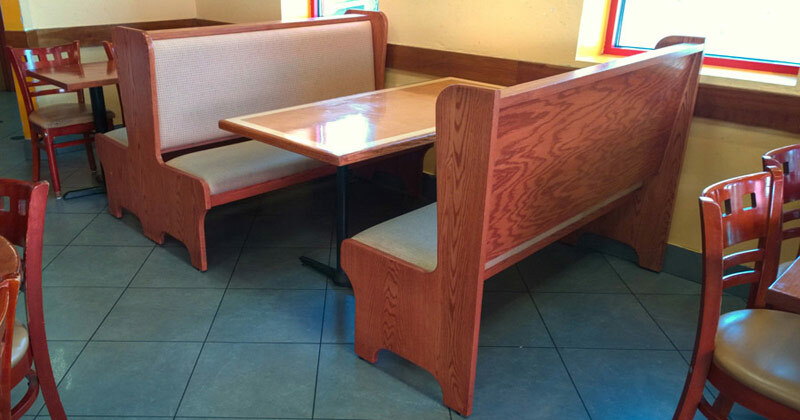 Road House Restaurant booth seating minimizes cleaning maintenance. 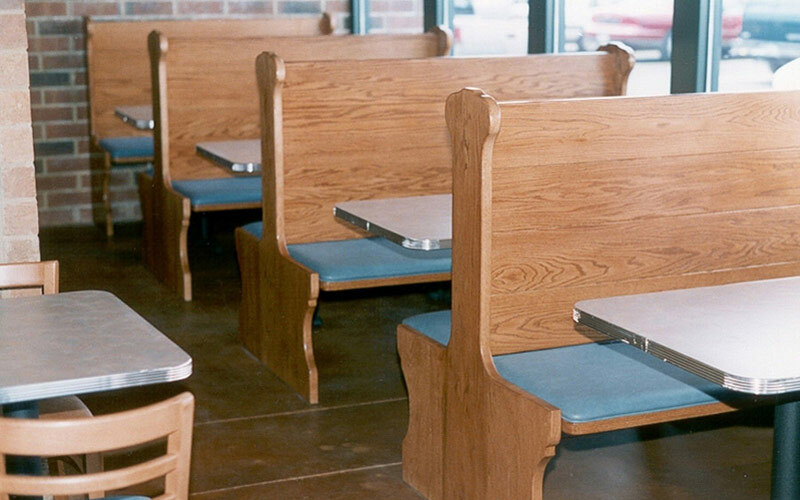 Wood restaurant booths made in the United States. Please Note: The Wood Booth Category Of Our Website Is Currently Being Updated. Please Check Back Soon.